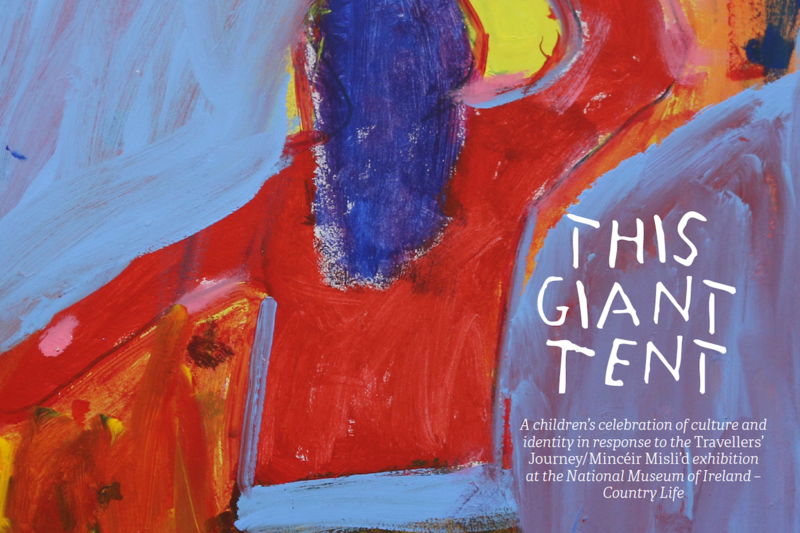 We are proud to announce our brand new publication: This Giant Tent: A children’s celebration of culture and identity in response to the Travellers’ Journey/Mincéir Misli’d Exhibition at the National Museum of Ireland – Country Life. 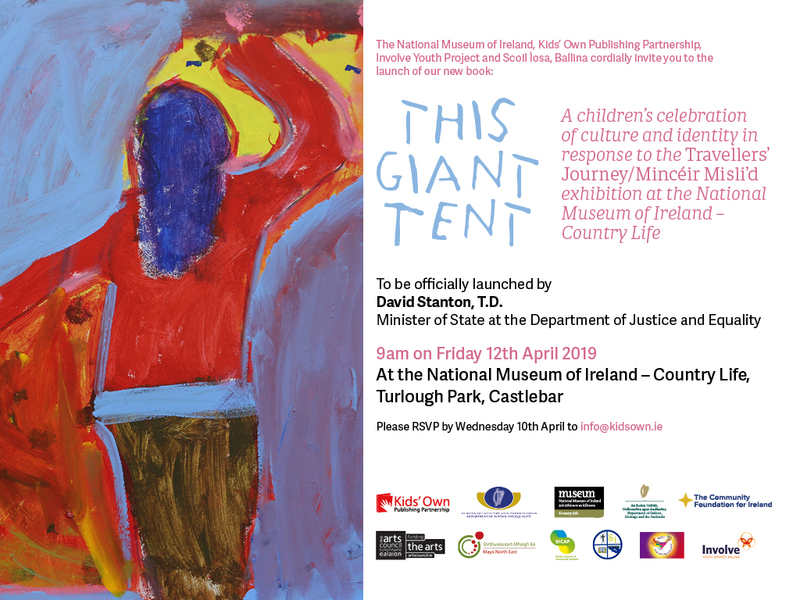 This Giant Tent will be launched at the National Museum of Ireland – Country Life, Turlogh Park, Castlebar by David Stanton, T.D., Minister for State at the Department for Justice and Equality, on Friday the 12thof April at 9am. The book was created in partnership with the National Museum of Ireland – Country Life, Involve Youth Project, and Scoil Íosa, Ballina. Over an eight-week period, students from 5thand 6thclass at Scoil Íosa, Scoil Padraig and members of Involve Youth Group worked with writer Mary Branley and artist Cas McCarthy, responding to the Travellers’ Journey exhibition at the National Museum of Ireland – Country Life. The young writers and artists were also inspired by conversations with artist Leanne McDonagh, whose work is exhibited as part of the Travellers’ Journey exhibition.